When multiple layers of the supply chain work together, transformation is most effective. 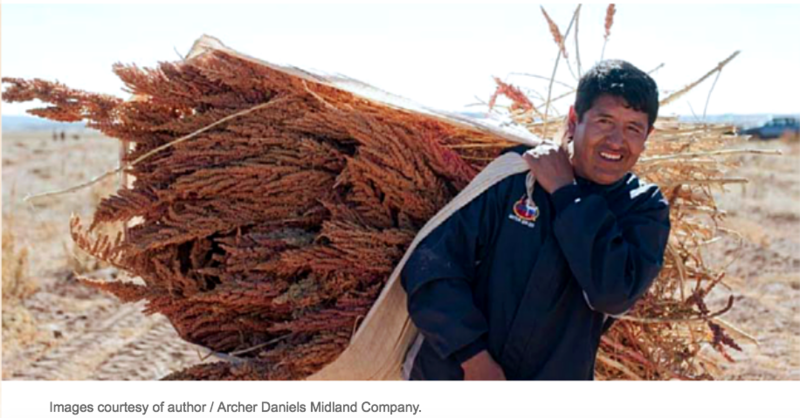 At Archer Daniels Midland Company, we have seen this firsthand, through providing financial and other support to improve the lives of quinoa farmers in Bolivia. 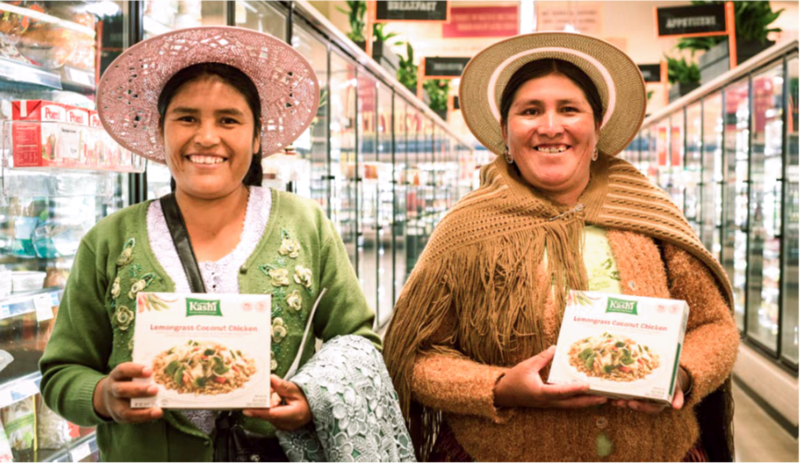 Together with our partner, Andean Naturals; and our customer, Kashi, we have been working to promote sustainable quinoa and improve the welfare of the farmers and their families by empowering women farmers, improving access to education, and increasing quinoa productivity. Working alongside the Bolivian organization Impacto Positivo en la Comunidad, Jacha Inti Industrial S.A. (JISA) works with 700 family farmers investing in environmental programs, such as guidance in organic fertilization, irrigation and other techniques to improve soil health and crop yield; social programs, such as developing strong governance structures and achieving Fair Trade certification; and financial programs, such as teaching basic accounting and administrative practices and providing access to credit in the form of rotating loan funds. Supply chain partner Kashi has been working with farmers through its “Lights On” project, which aims to bring electricity to farmers via solar panels. The response from farmers has been overwhelming, with many saying it has enabled their children to study and complete homework after sunset. The Fairtrade Foundation recently reported that women make up an average of 43 percent of the agricultural labor force in the developing world, and yet have much lower productivity per hectare than men because they have less access to agricultural credit, own less land and livestock, and are rarely targeted for agronomy extension services. To address this issue, JISA is focusing on women’s empowerment in the quinoa supply chain. Training workshops have been conducted focusing on educating women farmers, as well as increasing acceptance of female leadership within trade associations. The group is focused on developing leadership and business skills, and over the past two years has organized learning events such as sponsoring female quinoa farmers to attend US trade shows, arranging a visit to a female-led Ecuadorian quinoa cooperative, and organizing a women’s farmer summit in Bolivia. This entry was posted in Bolivia, Business, Economics, Environment, Health, La Paz, Potosi and tagged competitiveness, Oruro, royal quinoa, sustainable development. Bookmark the permalink.